Rosette of bold coarse heart shaped leaves. 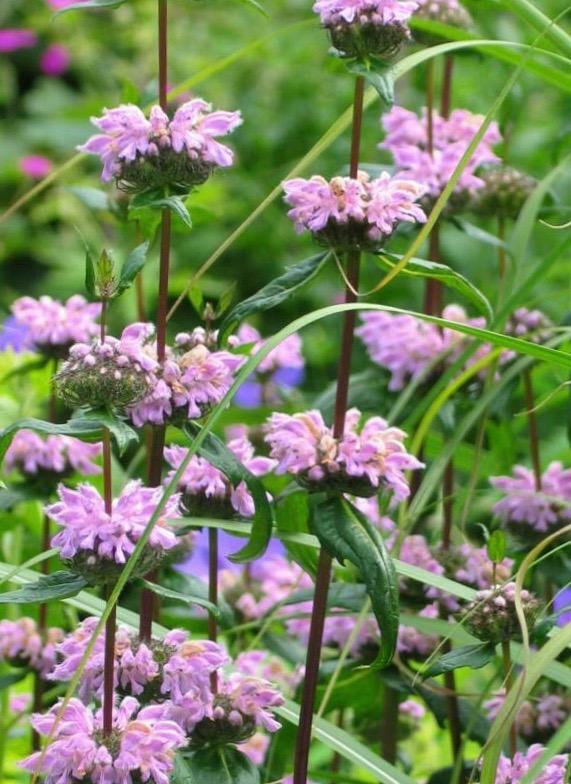 Strong dark upright stems carry whorls of lilac pink hooded flowers, July to August. Sun and good drainage. 1.2m tall. AGM. Handsome seed heads.